Your Lawyer Wants You To Say “No Comment.” Say This Instead. Even if you don’t have all the facts or you’re being dragged away in handcuffs or a hostile film crew is banging down your door, say something or people will conclude you’re guilty. And while your lawyer may strongly advocate for saying nothing, because that’s the safest course of action in a court of law, saying “no comment” in the court of public opinion is always disastrous to your reputation. So, how do you say something when you really have nothing to say? If you don’t believe you’ll get a fair shake in an interview, you can release a written statement and ask the reporter to quote from that. If you do grant an interview but can’t say much, let the reporter know that in advance, before the camera is rolling. You will have to be extremely disciplined to stick to your limited message, even if the interviewer tries to lure you into other lines of questioning. Say something like “As I said before…” and then repeat your message. It’s perfectly okay to say that you don’t know but will find out. Don’t speculate when you don’t have the facts. In the event of an ambush interview, when you find yourself face-to-face with a camera or microphone with no warning, it’s especially important to keep your cool and have something short and non-defensive to say. Don’t duck and cover, and never run away. 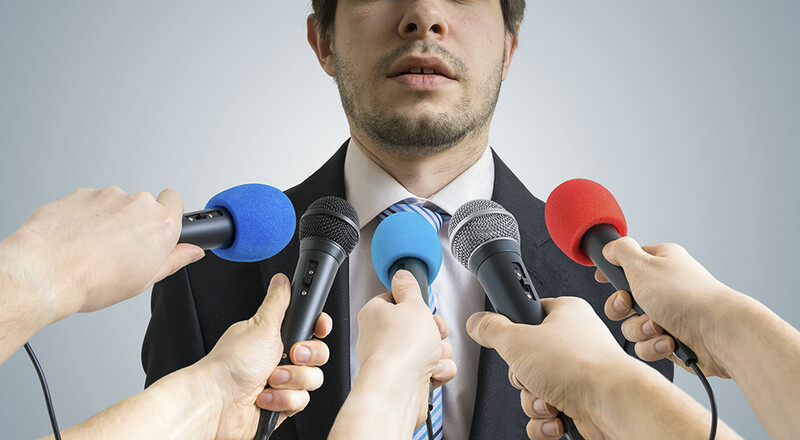 If the reporter continues to pepper you with provocative questions, don’t take the bait. Remember, to the viewer, you’ll look reasonable if you calmly agree to be interviewed at a time certain, while an overly aggressive reporter will look like a bully. While it may feel safest to hide in the bunker when you’re dealing with bad press, there’s nothing safe about it. The public will form conclusions about your guilt or innocence, your competence or incompetence, by how you respond under fire.